Why did the Victorians look to mathematics to achieve certainty, and how we might understand the Victorians better with the mathematical methods they bequeathed to us? I want to relate the Victorian debate about the foundations of our knowledge to a debate that we are likely to have in the coming decade, a debate about how we know the past and how we look at the written record that I suspect will be of interest to literary scholars and historians alike. It is a philosophical debate about idealism, empiricism, induction, and deduction, but also a practical discussion about the methodologies we have used for generations in the academy. Let me start, however, with the Heavens. This is Neptune. It was seen for the first time through a telescope in 1846. 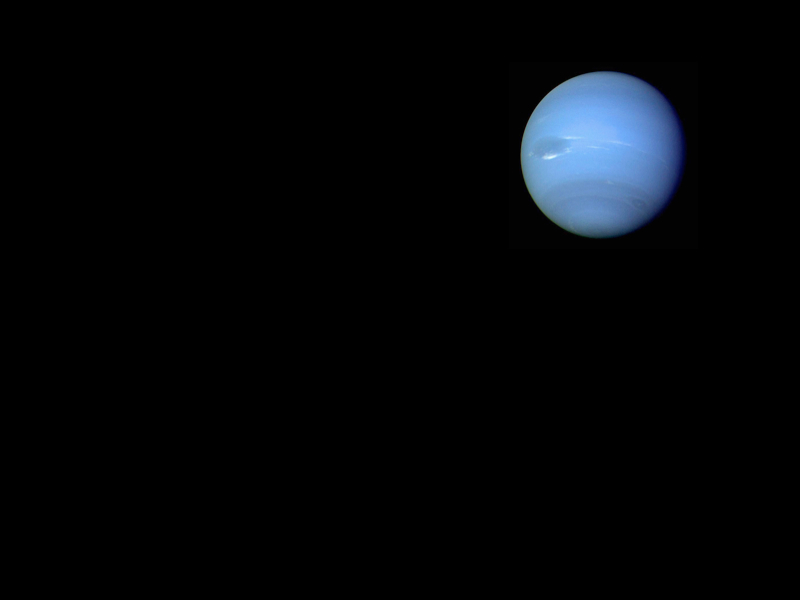 At the time, the discovery was hailed as a feat of pure mathematics, since two mathematicians, one from France, Urbain Le Verrier, and one from England, John Couch Adams, had independently calculated Neptune’s position using mathematical formulas. There were dozens of poems written about the discovery, hailing the way these mathematicians had, like “magicians” or “prophets,” divined the Truth (often written with a capital T) about Neptune. But in the less-triumphal aftermath of the discovery, it could also be seen as a case of the impact of cold calculation and the power of a good data set. Although pure mathematics, to be sure, were involved—the equations of geometry and gravity—the necessary inputs were countless observations of other heavenly bodies, especially precise observations of perturbations in the orbit of Uranus caused by Neptune. It was intellectual work, but intellectual work informed by a significant amount of data. The Victorian era saw tremendous advances in both pure and applied mathematics. Both were involved in the discovery of Neptune: the pure mathematics of the ellipse and of gravitational pull; the computational modes of plugging observed coordinates into algebraic and geometrical formulas. Although often grouped together under the banner of “mathematics,” the techniques and attitudes of pure and applied forms diverged significantly in the nineteenth century. By the end of the century, pure mathematics and its associated realm of symbolic logic had become so abstract and removed from what the general public saw as math—that is, numbers and geometric shapes—that Bertrand Russell could famously conclude in 1901 (in a Seinfeldian moment) that mathematics was a science about nothing. It was a set of signs and operations completely divorced from the real world. Meanwhile, the early calculating machines that would lead to modern computers were proliferating, prodded by the rise of modern bureaucracy and capitalism. 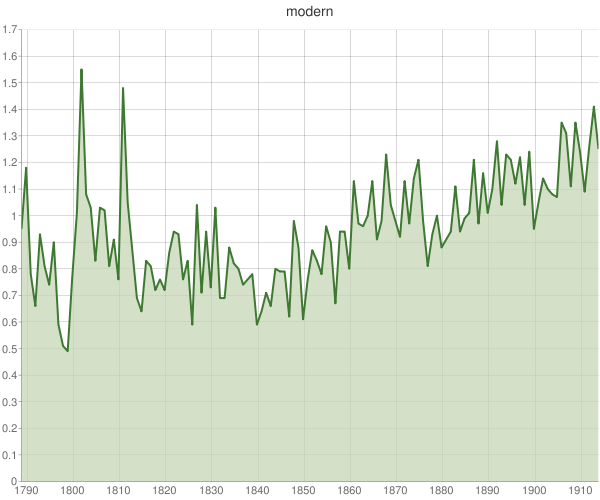 Modern statistics arrived, with its very unpure notions of good-enough averages and confidence levels. The Victorians thus experienced the very modern tension between pure and applied knowledge, art and craft. They were incredibly self-reflective about the foundations of their knowledge. Victorian mathematicians were often philosophers of mathematics as much as practitioners of it. They repeatedly asked themselves: How could they know truth through mathematics? Similarly, as Meegan Kennedy has shown, in putting patient data into tabular form for the first time—thus enabling the discernment of patterns in treatment—Victorian doctors began wrestling with whether their discipline should be data-driven or should remain subject to the “genius” of the individual doctor. Two mathematicians I studied for Equations from God used their work in mathematical logic to assail the human propensity to come to conclusions using faulty reasoning or a small number of examples, or by an appeal to interpretive genius. George Boole (1815-1864), the humble father of the logic that is at the heart of our computers, was the first professor of mathematics at Queen’s College, Cork. He had the misfortune of arriving in Cork (from Lincoln, England) on the eve of the famine and increasing sectarian conflict and nationalism. Boole spend the rest of his life trying to find a way to rise above the conflict he saw all around him. He saw his revolutionary mathematical logic as a way to dispassionately analyze arguments and evidence. His seminal work, The Laws of Thought, is as much a work of literary criticism as it is of mathematics. In it, Boole deconstructs texts to find the truth using symbolical modes. 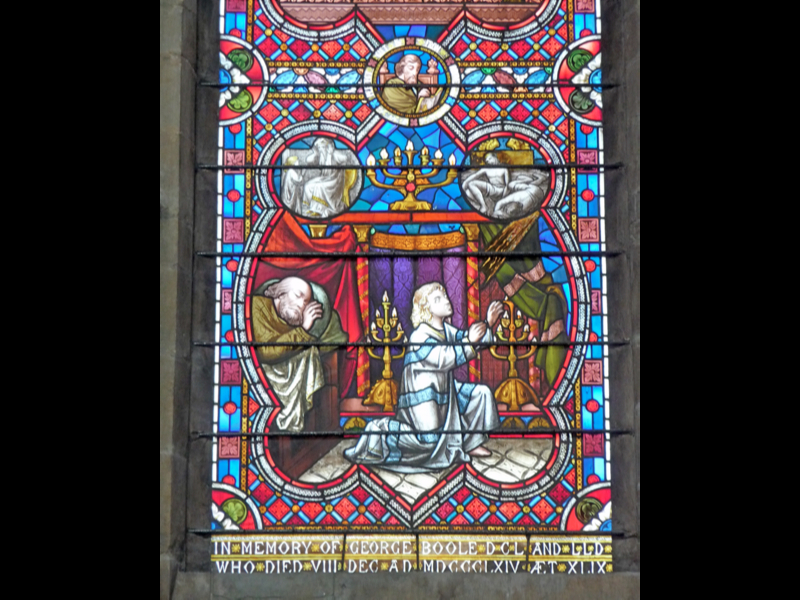 The stained-glass window in Lincoln Cathedral honoring Boole includes the biblical story of Samuel, which the mathematician enjoyed. 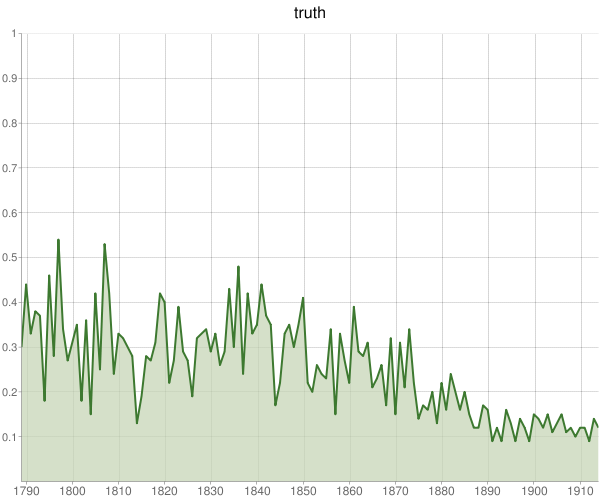 It’s a telling expression of Boole’s worry about how we come to know Truth. Samuel hears the voice of God three times, but each time cannot definitively understand what he is hearing. In his humility, he wishes not to jump to divine conclusions. Not jumping to conclusions based on limited experience was also a strong theme in the work of Augustus De Morgan (1806-1871). De Morgan, co-discoverer of symbolic logic and the first professor of mathematics at University College London, had a similar outlook to Boole’s, but a much more abrasive personality. He rather enjoyed proving people wrong, and also loved to talk about how quickly human beings leap to opinions. De Morgan would give this hypothetical: “Put it to the first comer, what he thinks on the question whether there be volcanoes on the unseen side of the moon larger than those on our side. The odds are, that though he has never thought of the question, he has a pretty stiff opinion in three seconds.” Human nature, De Morgan thought, was too inclined to make mountains out of molehills, conclusions from scant or no evidence. He put everyone on notice that their deeply held opinions or interpretations were subject to verification by the power of logic and mathematics. 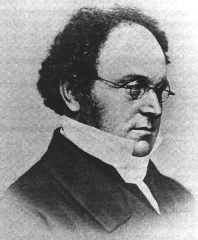 As Walter Houghton highlighted in his reading of the Victorian canon, The Victorian Frame of Mind, 1830-1870, the Victorians were truth-seekers and skeptics. They asked how they could know better, and challenged their own assumptions. This attitude seems healthy to me as we present-day scholars add digital methods of research to our purely analog ones. Many humanities scholars have been satisfied, perhaps unconsciously, with the use of a limited number of cases or examples to prove a thesis. Shouldn’t we ask, like the Victorians, what can we do to be most certain about a theory or interpretation? If we use intuition based on close reading, for instance, is that enough? Should we be worrying that our scholarship might be anecdotally correct but comprehensively wrong? 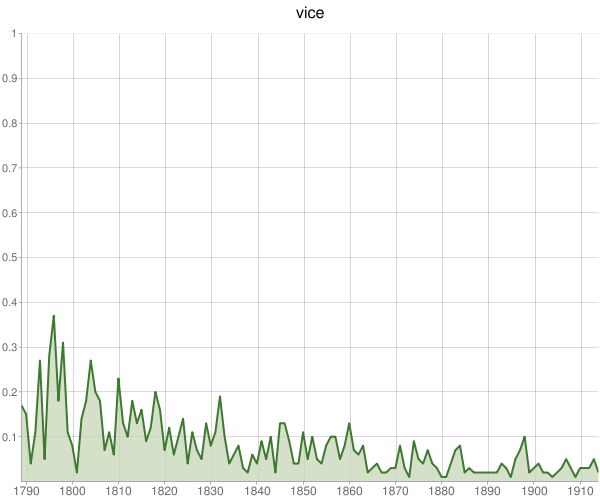 Is 1 or 10 or 100 or 1000 books an adequate sample to know the Victorians? What we might do with all of Victorian literature—not a sample, or a few canonical texts, as in Houghton’s work, but all of it. These questions were foremost in my mind as Fred Gibbs and I began work on our Google digital humanities grant that is attempting to apply text mining to our understanding of the Victorian age. If Boole and De Morgan were here today, how acceptable would our normal modes of literary and historical interpretation be to them? 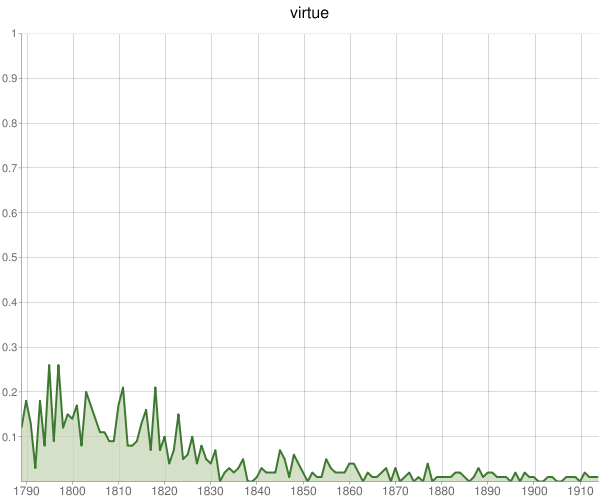 As Victorianists, we are rapidly approaching the time when we have access—including, perhaps, computational access—to the full texts not of thousands of Victorian books, or hundreds of thousands, but virtually all books published in the Victorian age. 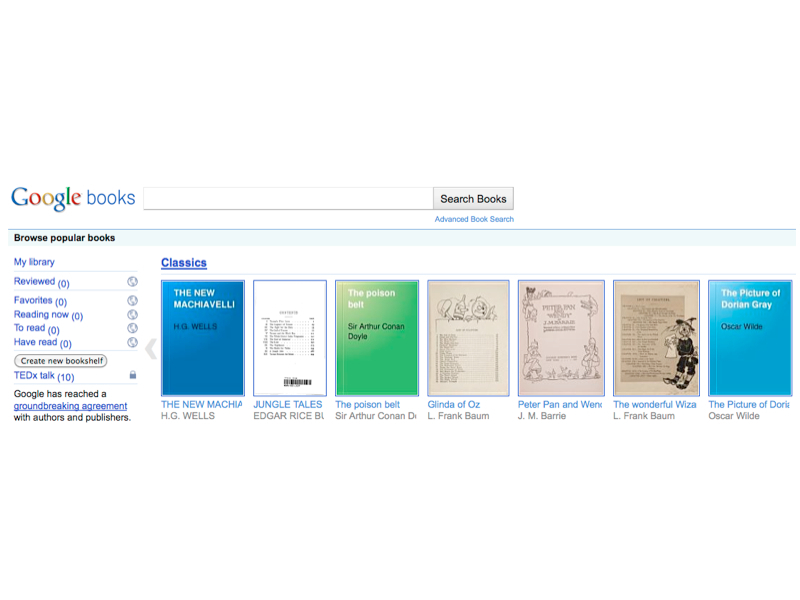 Projects like Google Books, the Internet Archive’s OpenLibrary, and HathiTrust will become increasingly important to our work. 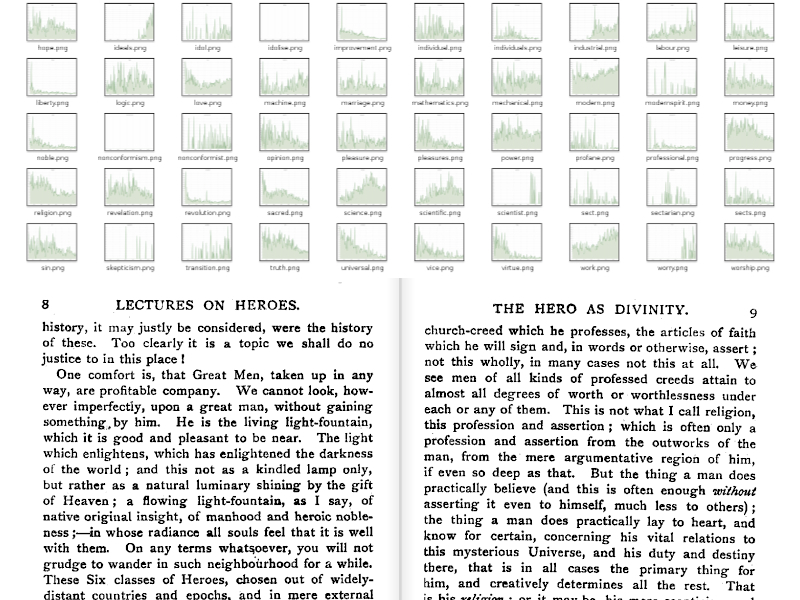 If we were to look at all of these books using the computational methods that originated in the Victorian age, what would they tell us? And would that analysis be somehow more “true” than looking at a small subset of literature, the books we all have read that have often been used as representative of the Victorian whole, or, if not entirely representative, at least indicative of some deeper Truth? Fred and I have received back from Google a first batch of data. This first run is limited just to words in the titles of books, but even so is rather suggestive of the work that can now be done. 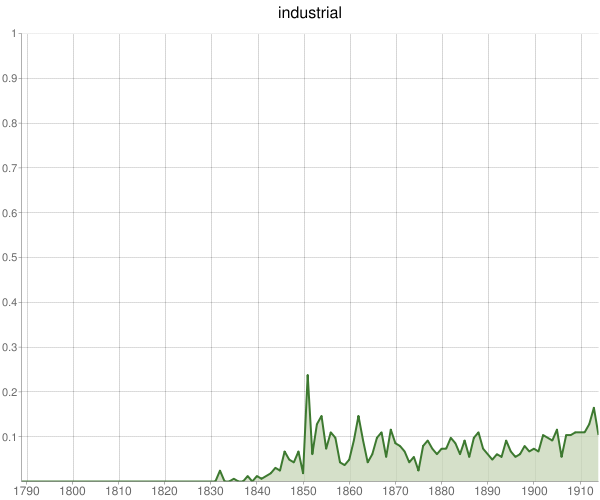 This data covers the 1,681,161 books that were published in English in the UK in the long nineteenth century, 1789-1914. 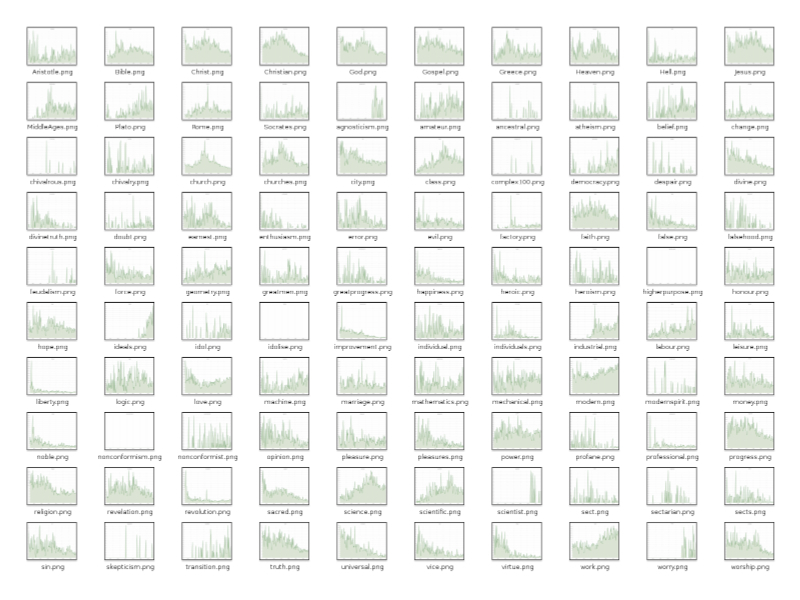 We have normalized the data in many ways, and for the most part the charts I’m about to show you graph the data from zero to one percent of all books published in a year so that they are on the same scale and can be visually compared. 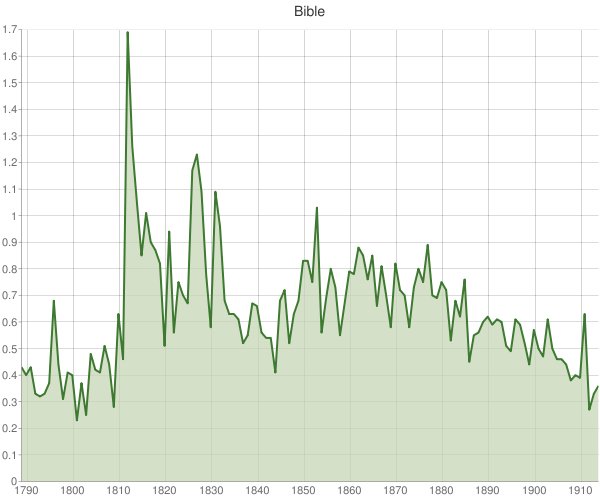 We plan to do much more; in the pipeline are analyses of the use of words in the full texts (not just titles) of those 1.7 million books, a comprehensive exploration of the use of the Bible throughout the nineteenth century, and more. 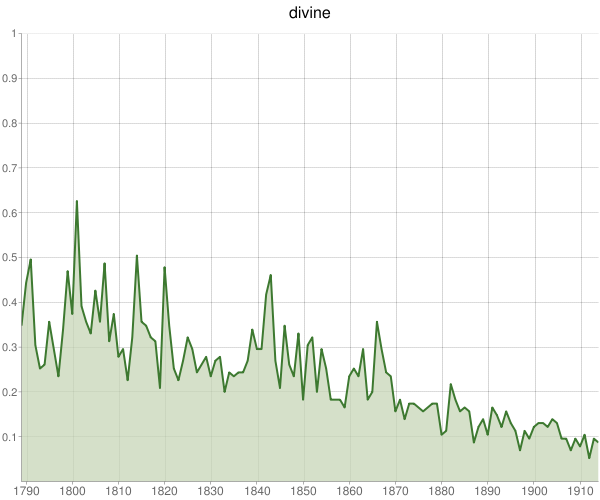 And more could be be done to further normalize the data, such as accounting for the changing meaning of words over time. So what does the data look like even at this early stage? And does it seem valid? 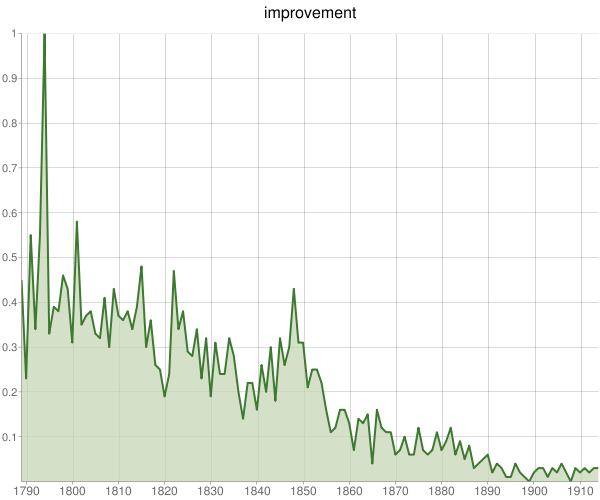 That is where we began our analysis, with graphs of the percent of all books published with certain words in the titles (y-axis) on a year by year basis (x-axis). 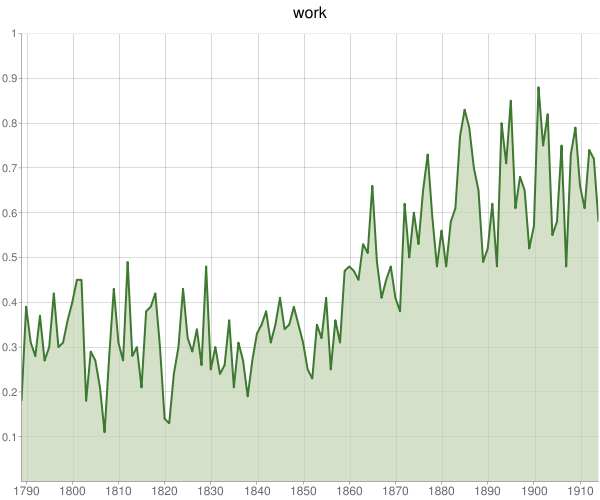 Victorian intellectual life as it is portrayed in this data set is in many respects consistent with what we already know. …and the sense of modernity, a new phase beyond the medieval organization of society and knowledge that many Britons still felt in the eighteenth century. 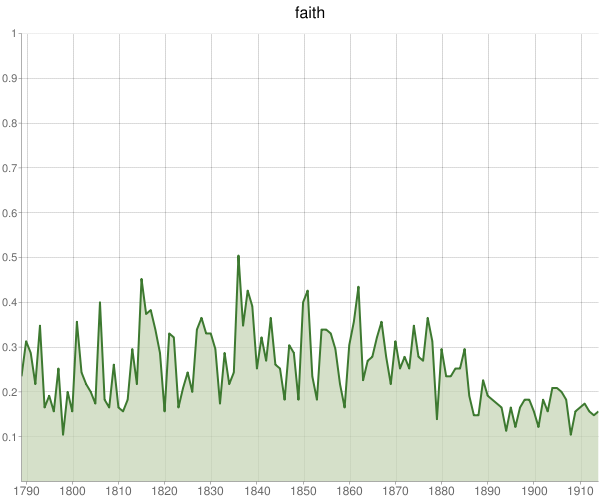 Even more validation comes from some basic checks of key Victorian themes such as the crisis of faith. 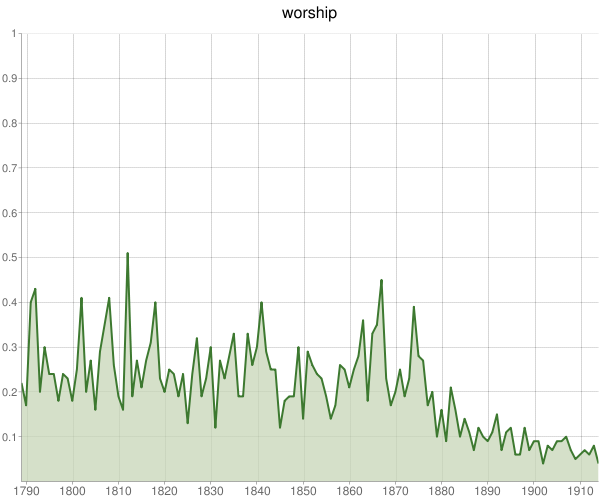 These charts are as striking as any portrayal of the secularization that took place in Great Britain in the nineteenth century. So it looks fairly good for this methodology. Except, of course, for some obvious pitfalls. 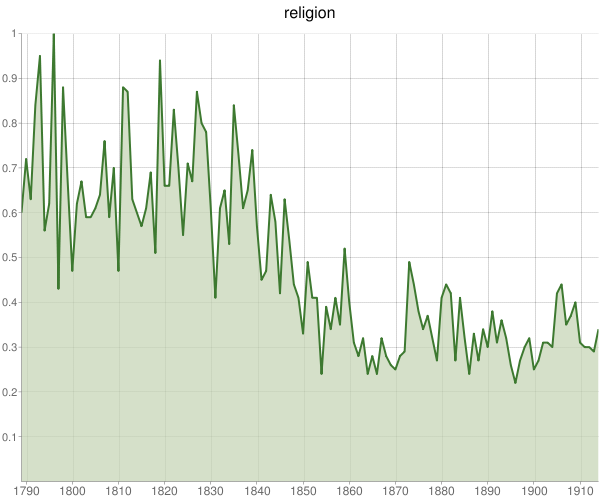 Looking at the charts of a hundred words, Fred noticed a striking correlation between the publication of books on “belief,” “atheism,” and…”Aristotle”? Obviously, we cannot simply take the data at face value. As I have called this on my blog, we have to be on guard for oversimplifications that are the equivalent of saying that War and Peace is about Russia. We have to marry these attempts at what Franco Moretti has called “distant reading” with more traditional close reading to find rigorous interpretations behind the overall trends. Nevertheless, even at this early stage of the Google grant, there are numerous charts that are suggestive of new research that can be done, or that expand on existing research. Correlation can, if we go from the macro level to the micro level, help us to illustrate some key features of the Victorian age better. 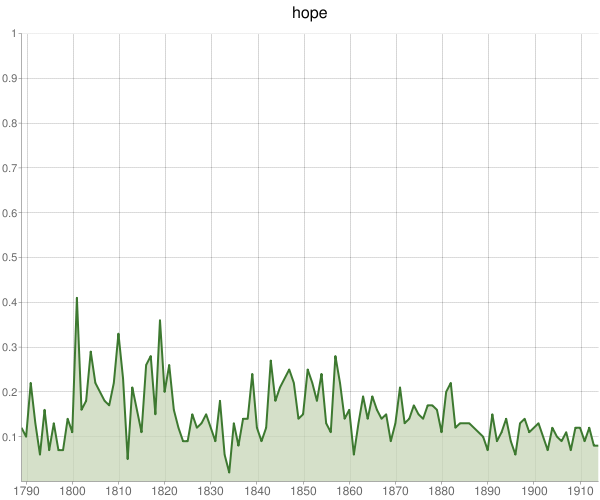 For instance, the themes of Jeffrey von Arx’s Progress and Pessimism: Religion, Politics and History in Late Nineteenth Century Britain, in which he notes the undercurrent of depression in the second half of the century, are strongly supported and enhanced by the data. 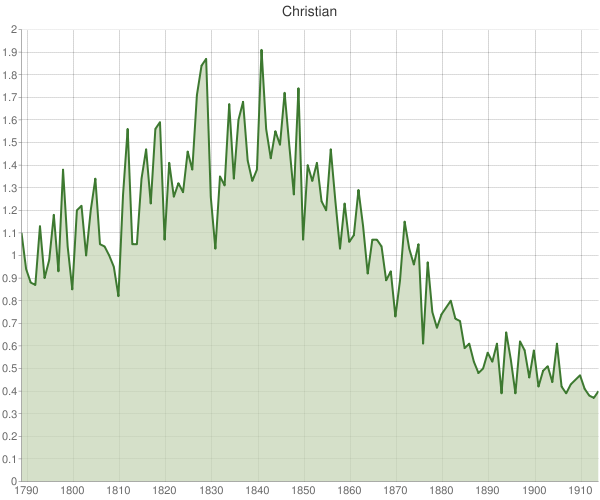 And given the following charts, we can imagine writing much more about the decline of certainty in the Victorian age. 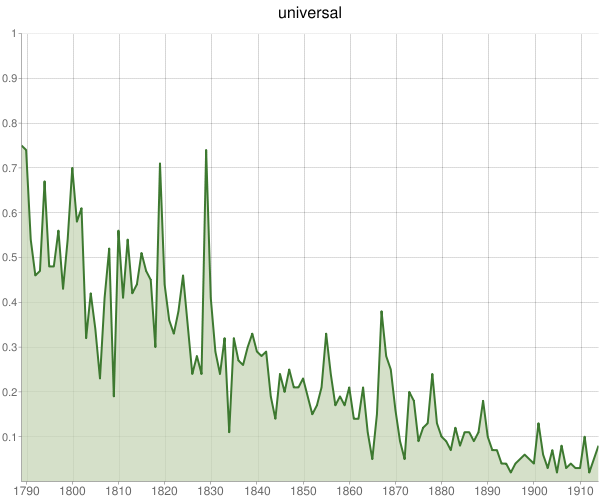 “Universal” is probably the most striking graph of our first data set, but they all show telling slides toward relativism that begin before most interpretations in the secondary literature. 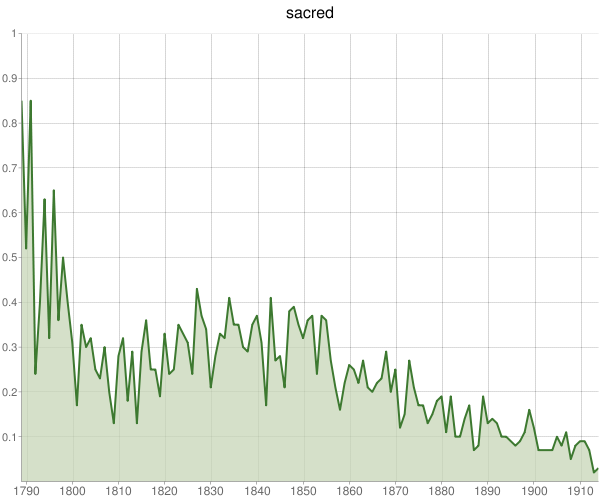 Rather than looking for what we expect to find, perhaps we can have the computer show us tens, hundreds, or even thousands of these graphs. Many will confirm what we already know, but some will be strikingly new and unexpected. 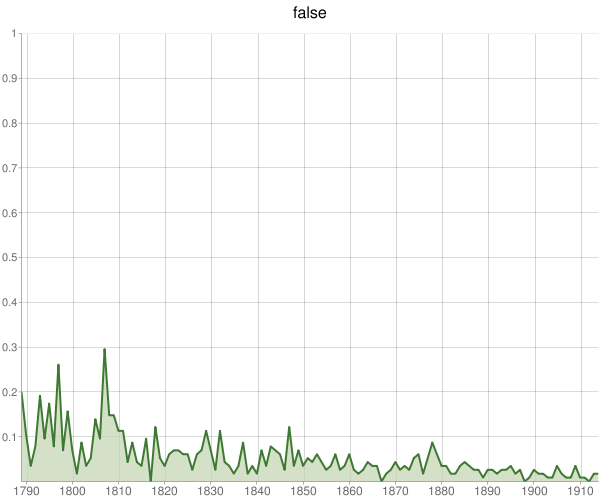 Many of those may show false correlations or have other problems (such as the changing or multiple meaning of words), but some significant minority of them will reveal to us new patterns, and perhaps be the basis of new interpretations of the Victorian age. 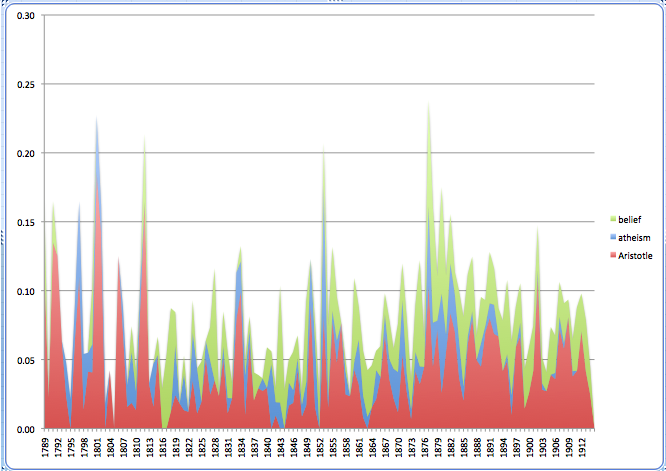 What if I were to give you Victorianists hundreds of these charts? I believe it is important to keep our eyes open about the power of this technique. 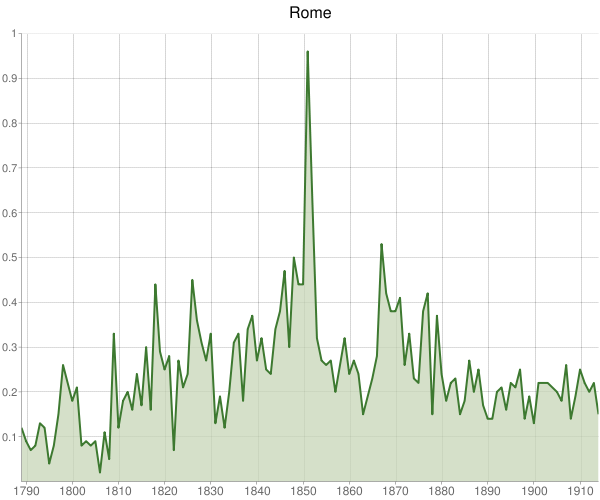 At the very least, it can tell us—as Augustus De Morgan would—when we have made mountains out of a molehills. 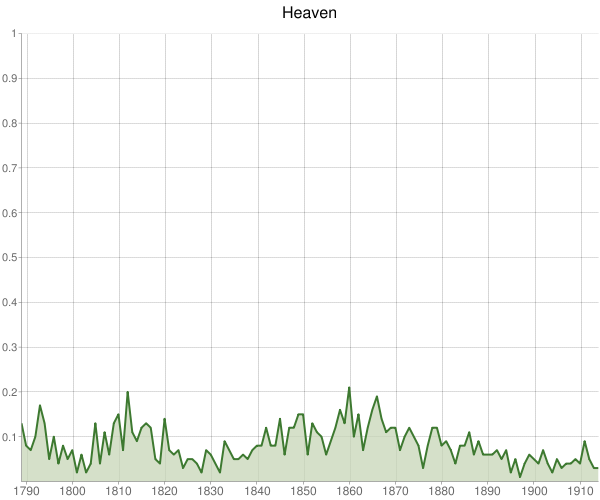 If we do explore this new methodology, we might be able to find some charts that pique our curiosity as knowledgeable readers of the Victorians. We’re the ones that can accurately interpret the computational results. 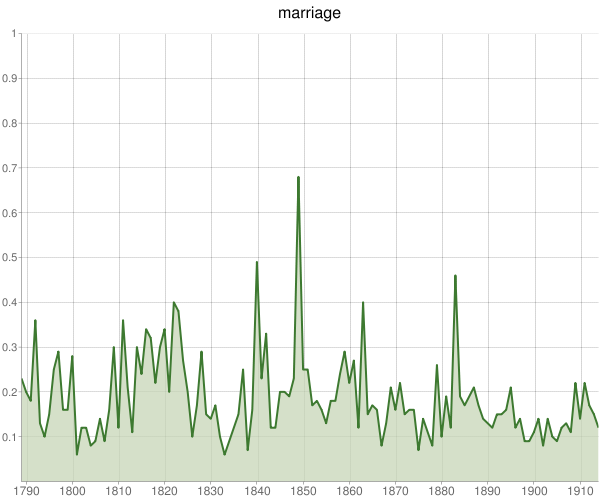 …or explore the interaction between love and marriage, an important theme in the recent literature. We can look back at the classics of secondary literature, such as Houghton’s Victorian Frame of Mind, and ask whether those works hold up to the larger scrutiny of virtually all Victorian books, rather than just the limited set of books those authors used. 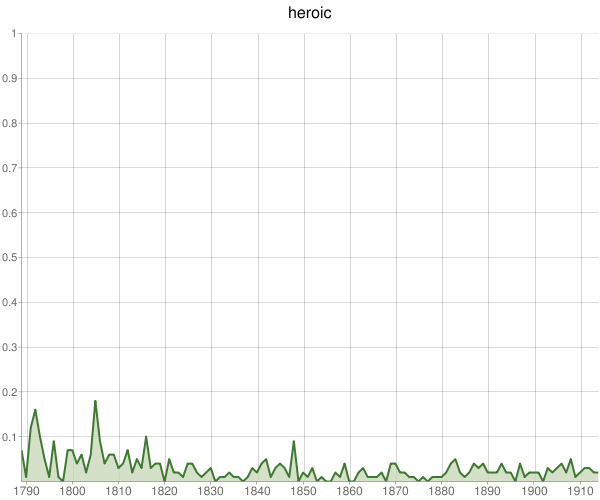 For instance, while in general our initial study supports Houghton’s interpretations, it also shows relatively few books on heroism, a theme Houghton adopts from Thomas Carlyle. 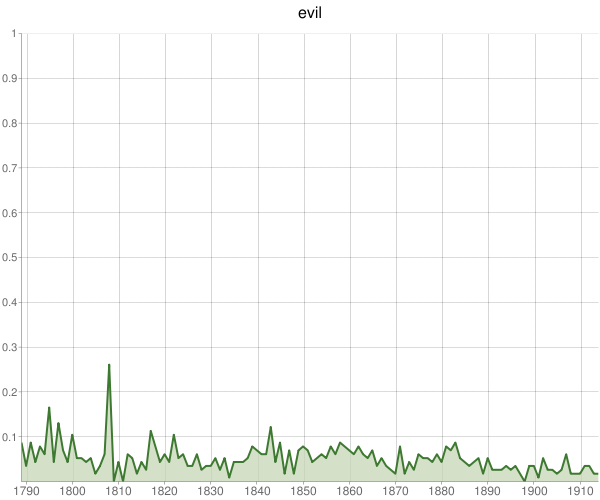 And where is the supposed Victorian obsession with theodicy in this chart on books about “evil”? Even more suggestive are the contrasts and anomalies. 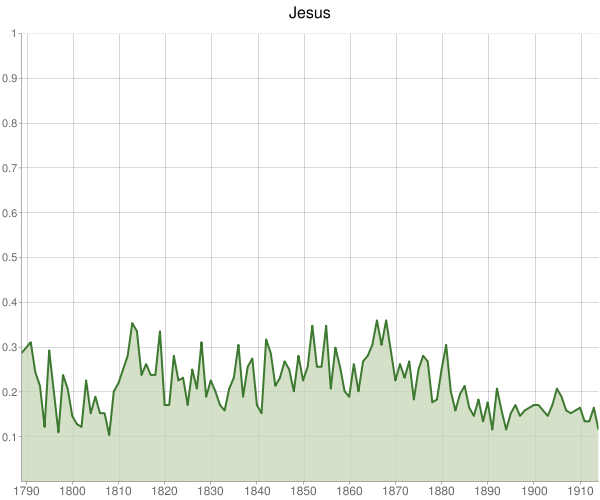 For instance, publications on “Jesus” are relatively static compared to those on “Christ,” which drop from nearly 1 in 60 books in 1843 to less than 1 in 300 books 70 years later. 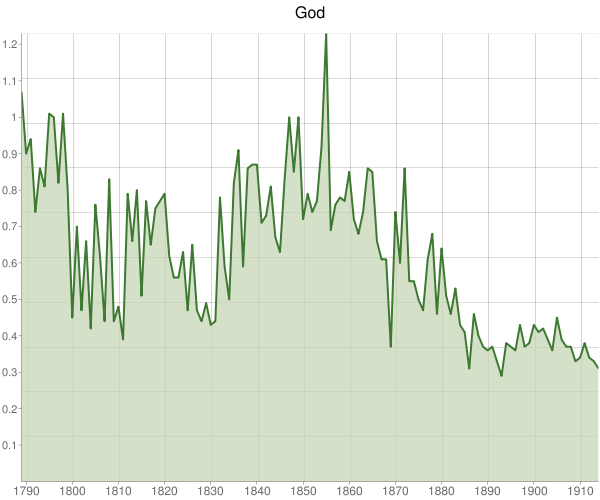 …as can the Victorians’ varying interest in the afterlife. I hope that these charts have prodded you to consider the anecdotal versus the comprehensive, and the strengths and weaknesses of each. It is time we had a more serious debate—not just in the digital humanities but in the humanities more generally—about measurement and interpretation that the Victorians had. Can we be so confident in our methods of extrapolating from some literary examples to the universal whole? This is a debate that we should have in the present, aided by our knowledge of what the Victorians struggled with in the past. Absolutely fascinating. I look forward to seeing more of this project, and to other scholars applying such methods. 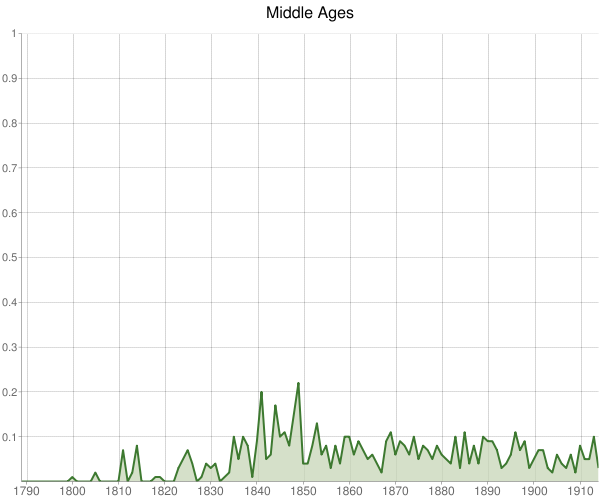 If possible, could you share more about what you know about the accuracy of the title and publication date data? Concerns have been raised about the quality of Google’s metadata, and enough inaccuracies could certainly impact a meta-analysis such as this one. I believe part of the debate you rightly propose, about the anecdotal versus the comprehensive, need also include a discussion of who creates and controls these comprehensive data, and to what end. 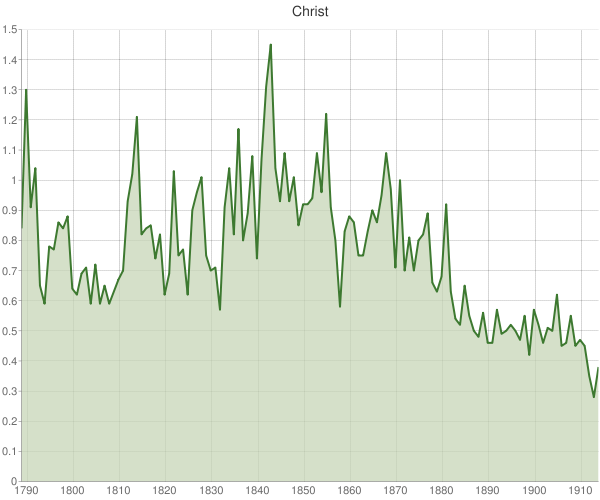 Fascinating, but what are your conclusions? What new thing have we learned about the Victorians that we did not previously know? Even this poorly-read Americanist knew that the Victorians lived in an age of science, industrialization and revolution and were losing their faith. This is a lot of fun, as the digital humanities always are, but it also points to the larger problem with digital history projects. 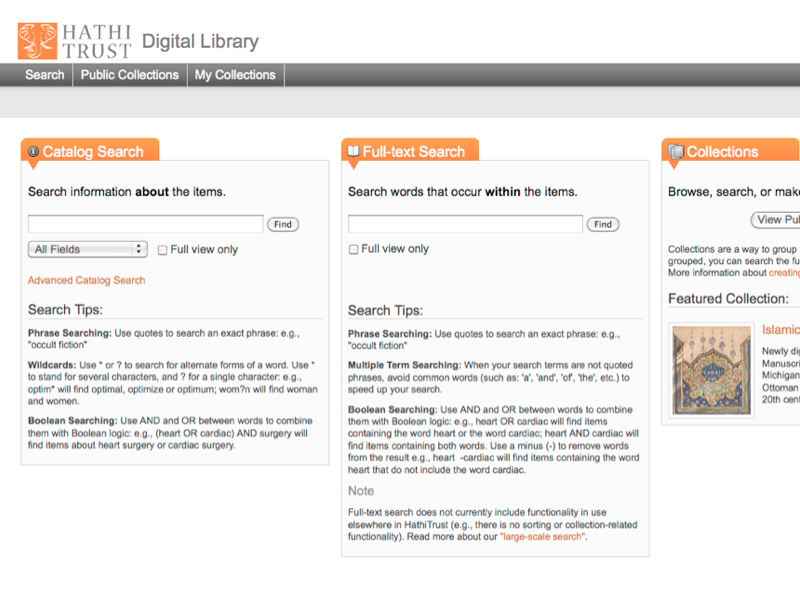 So far digital history seems to be about providing access to sources and to new ways of displaying existing knowledge. But at the end of the day we do not know any more about the past than we did before we sat down at our computers. Very nice. A good illustration — literally — of how digital humanities computing can prove to be an effective tool for learning, teaching, and scholarship. I only wish I had been able to make the case so succinctly. Thanks for this, Dan. I want to respond briefly to Larry’s comment, which asks, as I have called it elsewhere, the “Where’s the beef?” question of digital humanities, in Larry’s words, “what are your conclusions?” I am coming increasingly to believe that the problem with this question is one of scale. It expects something of the scale of humanities scholarship which I’m not sure is true anymore: that a single scholar—nay, every scholar—working alone will, over the course of his or her lifetime (actually over the course of his or her graduate education and first four years of professional employment), make a fundamental theoretical advance to the field. Increasingly, this expectation is something peculiar to the humanities. As your leading analogy shows, it required the work of a generation of mathematicians and observational astronomers, gainfully employed, to enable the eventual “discovery” of Neptune. Indeed, one of the reasons so many scientific discoveries are made simultaneously by researchers working independently of one another (as in the case of Neptune, and calculus, and the theoretical underpinnings of imaginary numbers) is because they each of them is working on the same data, data that has been produced collaboratively over the course of decades. Since the scientific revolution, most theoretical advances play out over generations, not single careers. We don’t expect all of our physics graduate students to make fundamental theoretical breakthroughs or claims about the nature of quantum mechanics, for example. There is just too much lab work to be done and data to analyzed for each person to be pointed at the end point. That work is valued for the incremental contribution to the generational research agenda that it is. Larry asks, “But at the end of the day we do not know any more about the past than we did before we sat down at our computers.” I know it’s just a turn of phrase, but Larry’s use of “at the end of the day” is telling. In response, I’d ask whether we really need to draw firm conclusions at the end of one day, one year, one career? I think the sheer volume of data Dan has produced, which is just the tip of the iceberg even for his own project, demonstrates that we may need to shift our expectations of what constitutes valuable scholarly contribution in the age of the digital humanities. Collaboration is important to digital humanities not because of it provides warm and fuzzy rallying cry, but because it recognizes that digital humanities is a project at a generational scale. Considering the wealth of new data, new tools, and new methods—just as in the sciences—the day, the year, and even the career are perhaps the wrong rulers by which to measure the progress of digital humanities. P.S. I hope I don’t seem to be picking on Larry here. It’s just that the elegance of his phrasing of the “Where’s the beef?” critique helped to clarify my own thoughts. Many thanks, Larry. @Larry: Actually, I think I addressed your complaint in the piece—admitting that confirming what we already know is a problem but also showing that there are some new interpretations lurking even in this very early data. 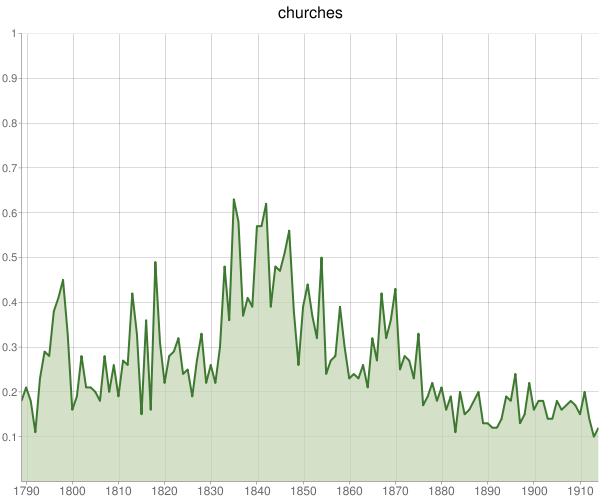 In addition, Victorianists at the conference wondered why “love” declined to 1830 and then rose for the rest of the century. I’ve made all of this a bit clearer in some morning edits, but I think the “contrasts” section alone provides some new avenues for research. 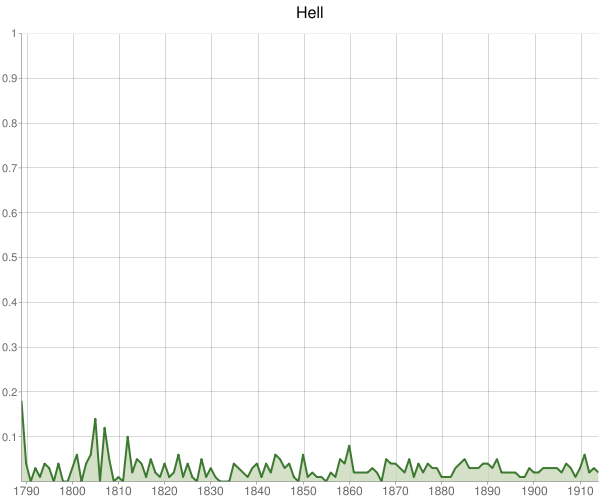 To specifically address your concern, the data counters the conventional wisdom about heroism and theodicy (see the Houghton section). Finally, as they say about dissertations, sometimes it’s OK to confirm the conventional wisdom. Thanks, guys, much food for thought. I want to believe! And Dan you are right that you do more in the way of preliminary conclusions than I picked up in my too-quick reading of your piece. Dan, we have met once when you gave me a ride from the hotel to the 2009 THATCamp. We had this same conversation then and you told me a story (which I here proceed to butcher) about some early DH project mining historical data in New York that generated a lot of initial excitement but proved disappointing. You quoted Roy Rosenzweig as saying something to the effect that when the conclusions drawn by the project were things like “population grew along the railroad lines,” he knew the digital history movement was in trouble. 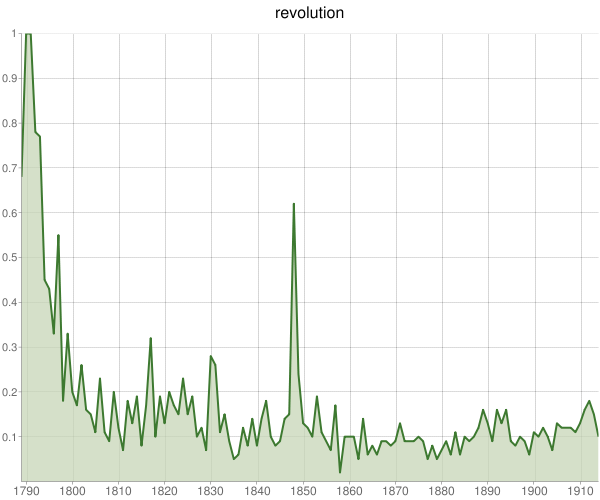 On the other hand, we are at the very beginning of what surely looks like a revolution. 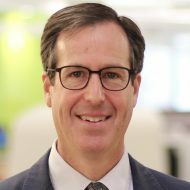 I saw Doug Seefeldt do a presentation this summer where he described it as the printing press just having been invented–we don’t know where we are going yet. I am going to follow you guys anyway, three steps safely behind. Yes, but Mary Somerville also postulates Neptune and Pluto through mathematics, and teaches Ada Lovelace, who with Charles Babbage, will invent the computer. Perhaps Google should include a woman in the project? This is all very fascinating work. I have no interest in the Victorians myself, but I am interested in the techniques used in your project. Are you able to provide more information on your methodology–and perhaps recommend software for doing similiar studies in other disciplines/research areas? 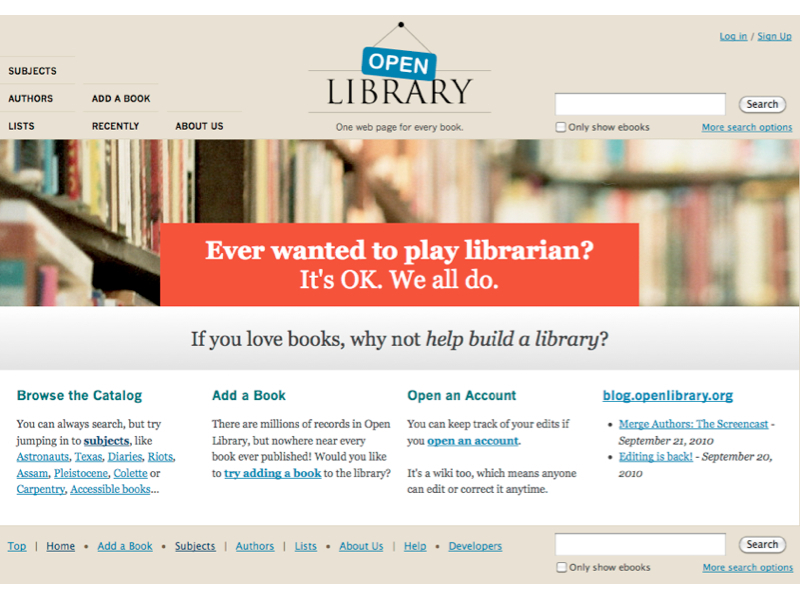 @Corine: There is much more about this project on our Victorian books site. You might also want to check out the excellent list of text mining tools on the Digital Research Tools wiki. congratulations to you and the whole team on this important project. i look forward to seeing its final sets of findings. i hope someday my country’s literature (Philippines) and other countries’ literature will also be analyzed in the same (or even better) way in the future. i am very interested in pairs or trios of words that very often happen to be together all in several places in time and their ties to particular authors or groups of authors. i also hope the project’s findings will be neatly stored in some place where people from our future could easily access them to understand what happened to us. 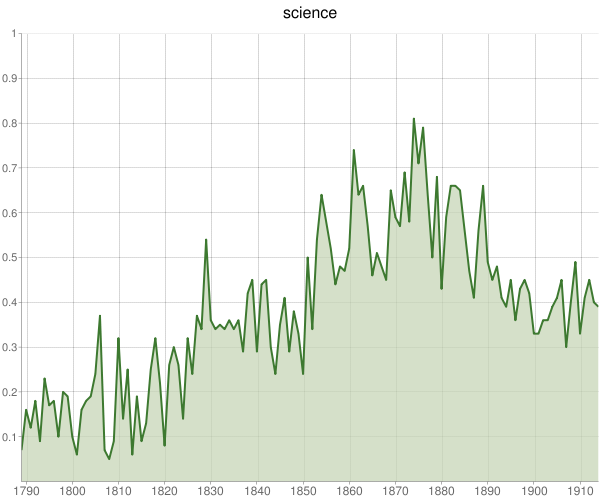 You’ve probably already considered it, but looking only at books might skew the data. Periodicals (magazines, newspapers) offer different perspectives because authors are writing with different time horizons – the short term versus the long term. BTW Internet Archive is a non-profit and depends on user contributions. 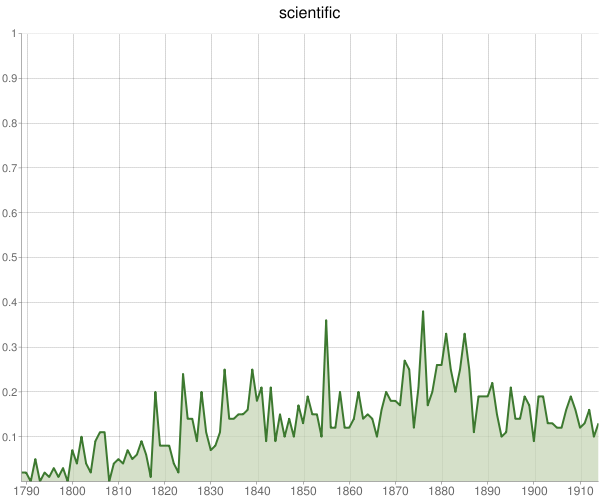 You may want to consider how many science books were still being published in Latin prior to 1800. Latin was the lingua franca of European scholars until quite recently. The Victorian’s were mad for Latin. 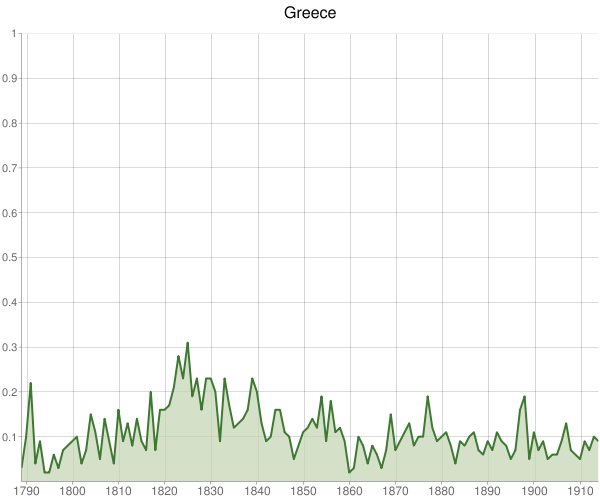 There was a huge surge of transcription of manuscripts, authoritative Latin editions and translation from Greek, Hebrew or Arabic in the late 1800s. You may have to factor that in to the English books to determine importance. Keep in mind that google books doesn’t search for Latin endings all that well. So, you’ll have to search for all possible forms of a word. Also, it would be interesting to see a book’s importance weighted by population the population of books surviving in libraries (e.g. 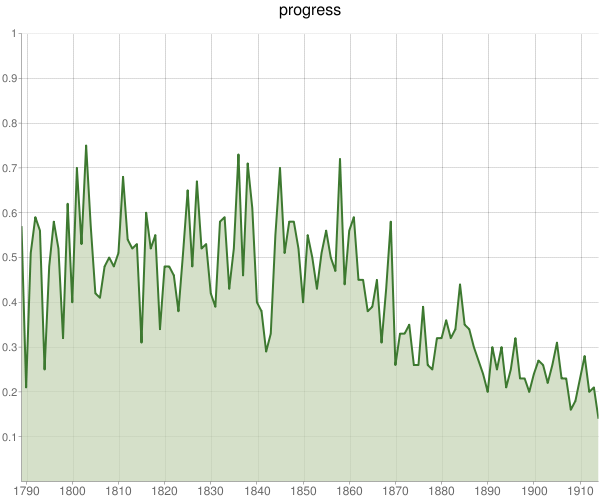 compared with WordCat) or total publication run (# of copies) if you could get that sort of data.